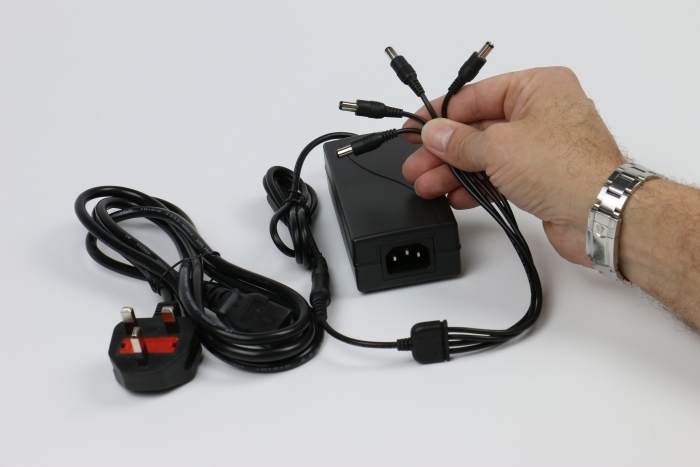 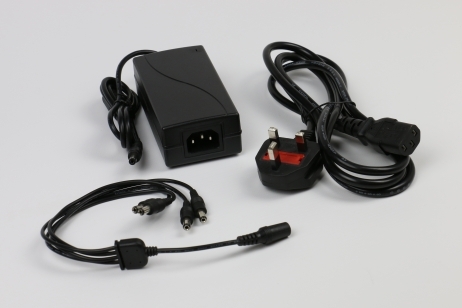 A plug in 5 amp, 12 volt power supply and 4 camera adapter to provide power for any 4 of the cameras in the cameras for sale section of this website with the exception of PTZ cameras. 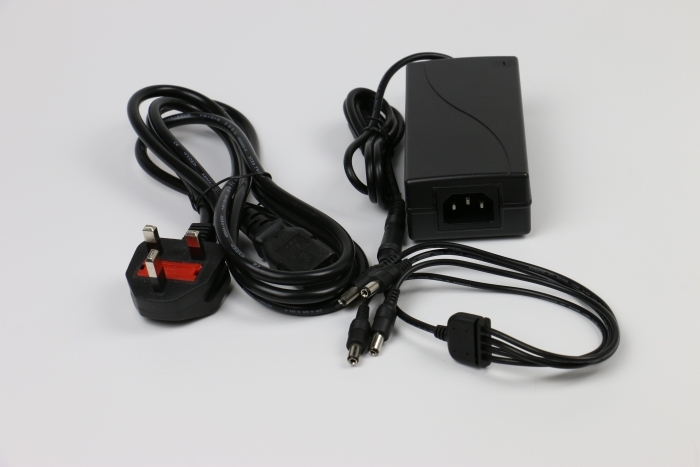 5 amps provides plenty of power for larger cameras with more powerful Infra-red illumination and easily copes with less demanding cameras such as the internal domes or smaller day/night products. Supplied with a UK 3 pin plug to IEC C13 "kettle" lead.